Allegations of bribery may hurt Danone's plans to increase sales in China. China's crackdown on corruption has snared another big western company. 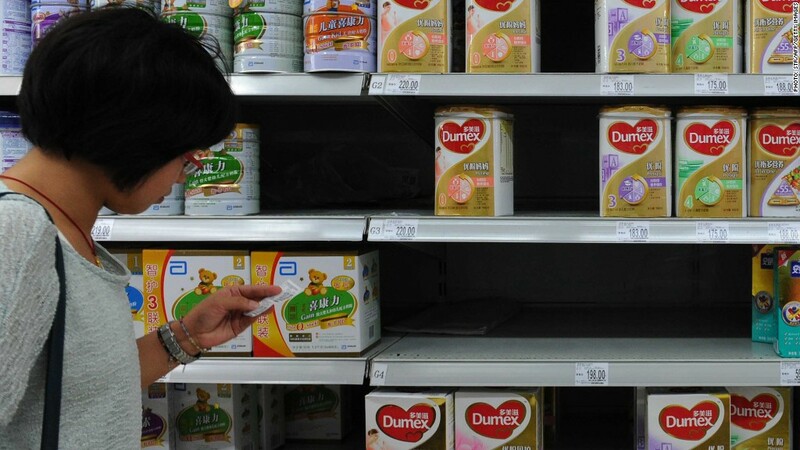 Dumex Baby Food, a unit of France's Danone (DANOY), is investigating claims that its staff paid bribes to Chinese hospital workers to drive up sales of its baby formula. Hospital workers in the northern city of Tianjin were encouraged to ensure newborns received the formula before their mothers' breast-milk, in order to develop a taste for the product, according to a report by Chinese state television CCTV. The report included a list of hospitals, doctors, nurses and the amount of inducement paid by Dumex. Dumex said in a statement it was "extremely shocked" by the report and would begin an investigation into the allegations immediately. An unnamed nurse cited by CCTV said nurses were offered 50 yuan ($8) for each can of baby formula they recommended to new parents. The market for baby milk is fiercely contested in China as past scandals over tainted local supplies have spurred interest in foreign brands. The CCTV program alleged kickbacks were incorporated as part of sponsorship arrangements for the hospitals' academic activities. Doctors were paid to give lectures, while nurses were paid an allowance to attend the talks. A former Dumex sales manager, who was also unnamed in the report, said the company provides hospitals hundreds of thousands of dollars in "sponsorship." The Beijing News visited one of the hospitals mentioned in the CCTV program and spoke to a hospital matron who allegedly received a payment of 7,200 yuan. "The money we receive every month [is] not all lecturing fee, that includes kickback to the nurses," Li Ruixia was quoted as saying in a report published Tuesday. The allegations come as a bribery crackdown in China appears to be gathering momentum. Last month the country widened a state probe into corruption in the healthcare industry, with two government agencies now investigating possible bribery and fraud in the provision of medical drugs and services. British drug giant GlaxoSmithKline (GLAXF) and France's Sanofi (GCVRZ) are among those being examined for alleged corrupt practices. Separately, six dairy companies including Danone were accused of price fixing and anti-competitive activities in China in August. The National Development and Reform Commission has levied $108 million in penalties against the group of companies. -- CNN's CY Xu contributed reporting to this article.